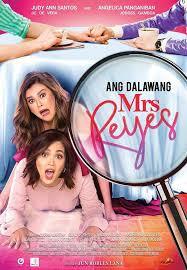 Ang Dalawang Mrs. Reyes is a 2018 Comedy Drama, Starring Judy Ann Santos, Angelica Panganiban, Joross Gamboa and JC De Vera, Gladys Reyes and Andrea Brillantes. The film is directed by Jun Robles Lana and is Produced under Star Cinema, Quantum Films and IdeaFirst Company. The Film premiered on January 17, 2018. 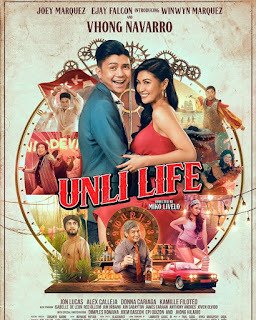 The film centers around the lives of Lianne Reyes (Judy Ann Santos) and Cindy Reyes (Angelica Panganiban) both devoted wives to their husbands, Gary Reyes (Joross Gamboa) and Felix Reyes (JC De Vera) respectively. Both men turns out to be gay and are in a relationship with each other which is the reason why both of them left their wives. When the two Mrs. Reyes finds out about this, both women decided that their ex-husbands must pay the price for cheating and lying to them. Thus both women decided they must ruin every bit of happiness their ex-husbands has. The Film is considered as an opening salvo for 2018. This is the first movie where Judy Ann Santos and Angelica Panganiban will work together. This is the 2nd movie where Panganiban and De Vera has worked togtehr since their last movie; White Lady (2006) which they also played opposite each other. This is also the reunion film of Judy Ann Santos and Gladys Reyes after years, both of which were regarded as the infamous Mara and Clara respectively. However the two play as friends in the movie. This movie is also anticipated due to the fact that it is directed by the same director of Die Beautiful. Judy Ann Santos and Angelica Panganiban both acclaimed actresses are guaranteed to give us a good laugh and a heartfelt dramatic scenes. This is a must watch for movie goers alike as you will laugh, cry and enjoy.